Change is constant. Even when we do nothing, we change. So how do we let go of the need to control and just go with the flow? I will be publishing a short guide to beginning breathwork if you want to learn more. In the mean time, here is an easy exercise from the guide to get you started on the self-care train. This is a sensory-tactile way to soothe yourself quickly and effectively, which means your brain in taking in sensory and touch information helping to override all those unhelpful thought cycles that are making you anxious. I have found this works for very young kids all the way through adulthood. It takes under a minute to complete so you can repeat as often as you like. To begin, stretch your fingers out like you're giving a high-five, then turn your palm toward your face. Trace the edges of one hand with your opposite hand's pointer finger. 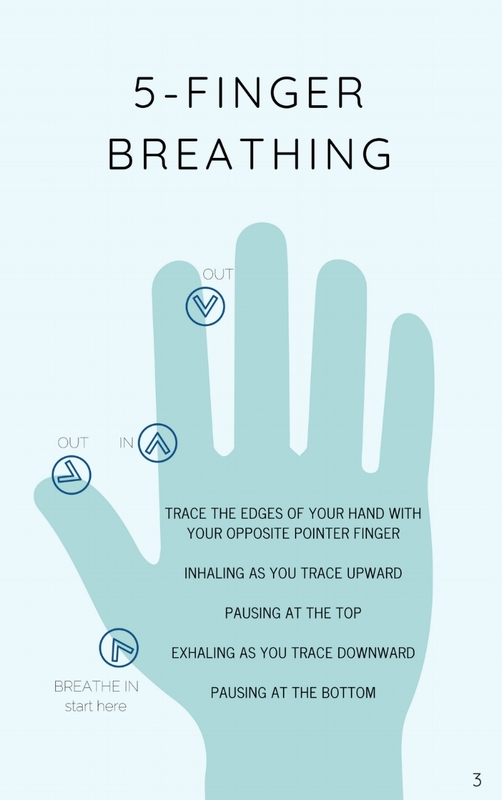 Breathe in as you trace up toward the tip of your finger, pause at the top. Trace down your finger to the valley as you breathe out and pause again at the bottom. Repeat until you have traced all your fingers on one hand. After you practice this a couple times and feel like you have it down, we can add a mantra, intention, or acknowledgment of the feelings you are experiencing. I like to choose one to start and add more as I desire. For example: breathing in: peacefulness, breathing out: anxiety, breathing in: openness, breathing out: fear, breathing in: kindness, etc. OR breathing in: I am peaceful, breathing out: I am peaceful, breathing in: I am peaceful, etc. Thank you for being bold and trying something new! If this practice has benefitted you or if you have any other tools leave a comment below!